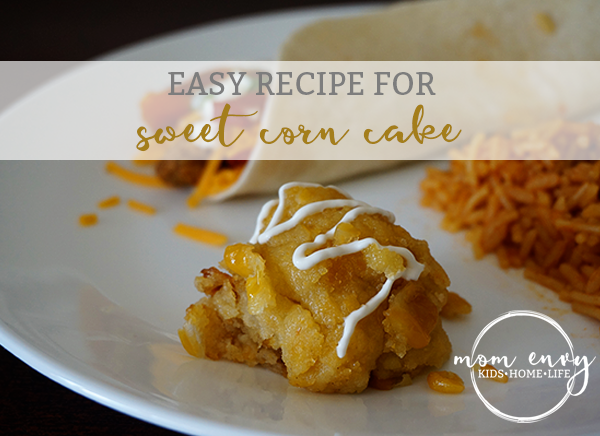 One of our favorite items when going out to eat at Mexican Restaurants (and Cheesecake Factory) are sweet corn cakes. My family absolutely loves this decadent side dish. I have been trying for a few years to find a recipe to recreate it at home and I finally found one that works (with adjustments). I am amazed at how close the flavor and texture is to our nearby Mexican Restaurants (especially Don Pablo’s). The copycat recipe took very little adjusting to get it to our liking (although I will say, it was wonderful without any adjusting as well). I made a few minor changes. First, I decreased the amount of butter because it was a little greasy for us. 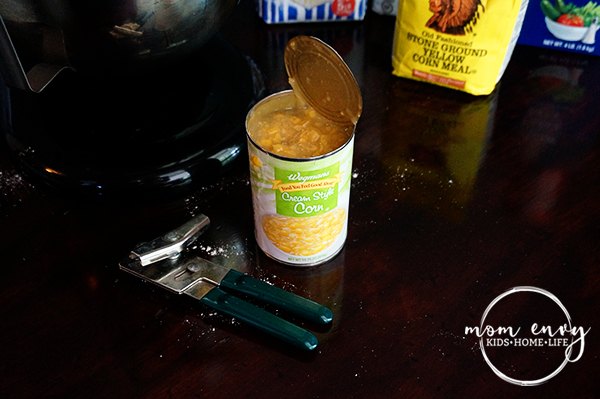 Then I replaced their corn/cream combo with a can of creamed corn (much easier to have on hand and cheap, too). We also prefer the corn cake to have a crispy outer layer which we found was easily achieved by placing the pan under the broiler. 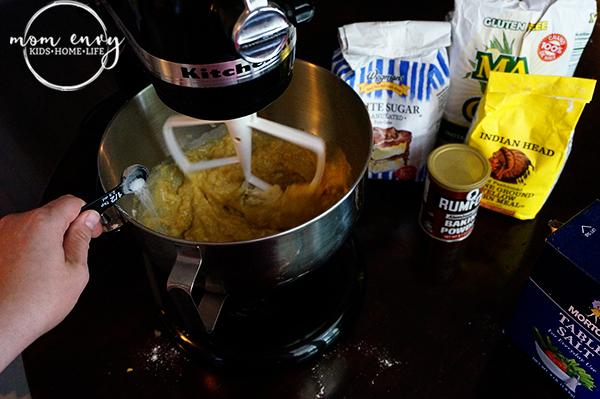 Do you have a favorite copycat recipe you like to make? 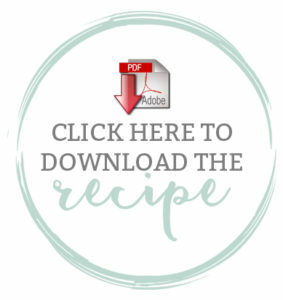 I love finding a recipe that bring a little bit of our favorite restaurants into our kitchen. So please share away! Time for some Corn Cake! 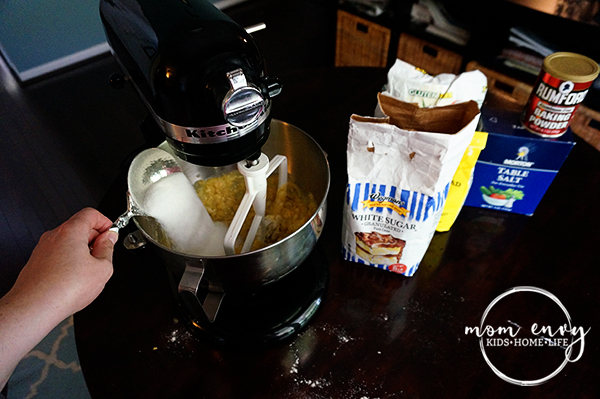 Using a mixer, beat butter until it is creamy. 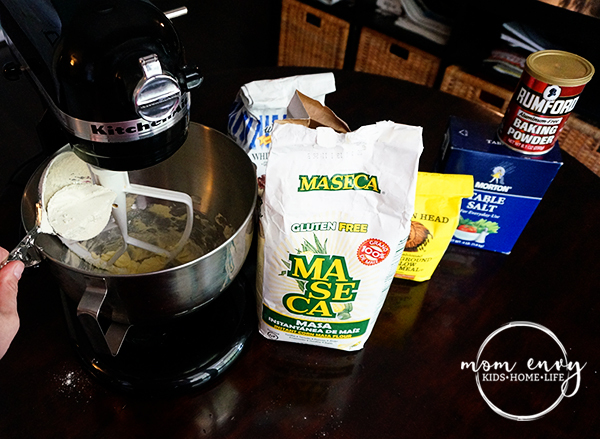 Add the masa harina and water. Beat until well mixed. Add creamed corn. Stir into the butter mixture. 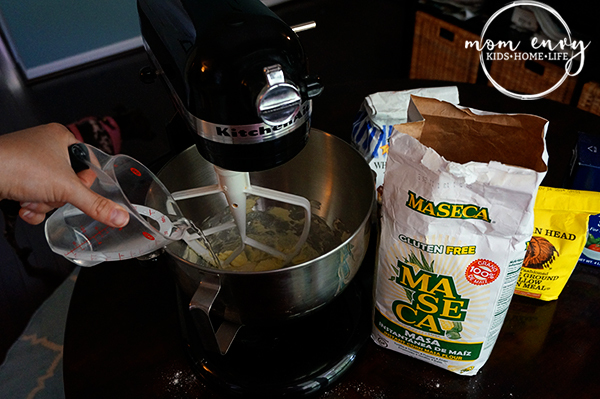 Add cornmeal, sugar, salt, and baking powder. 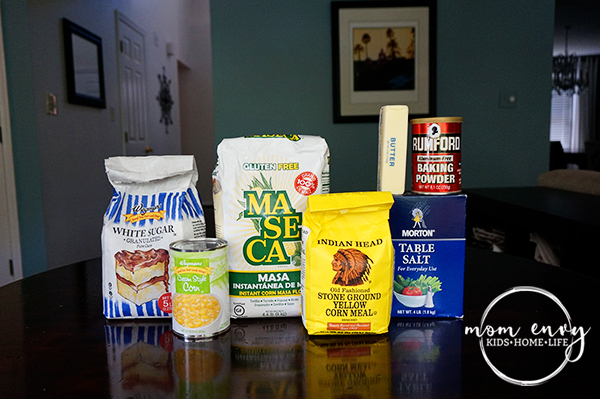 Mix after adding each ingredient. 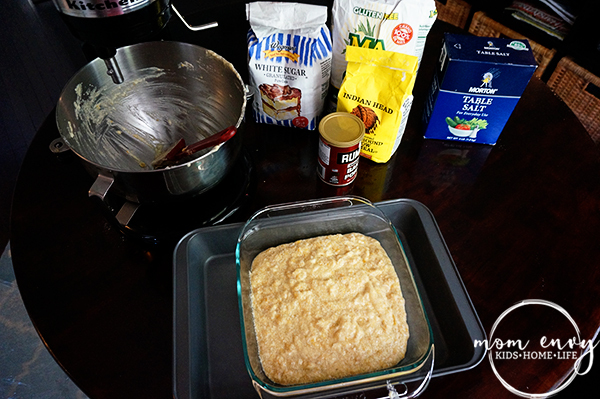 Pour batter into 8 x 8 baking pan. Smooth batter and cover with aluminum foil. 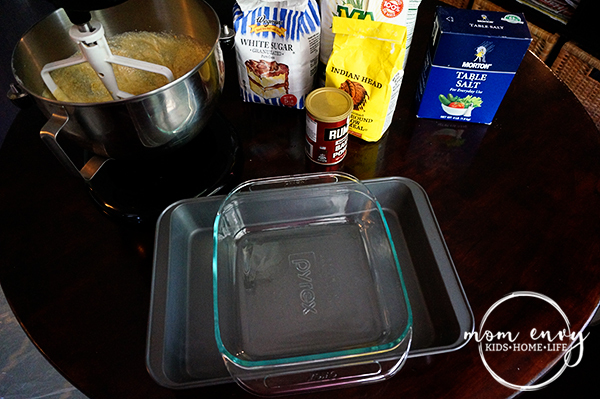 Place ungreased 8 x 8 inch baking pan into a 9 x 13 baking dish that is filled a third of the way with water. Optional: For a crispier crust (similar to Don Pablos), remove the pan from the oven. Remove the foil. Place the 8 x 8 baking dish under the broiler until browned. Allow to cool for 10 minutes. 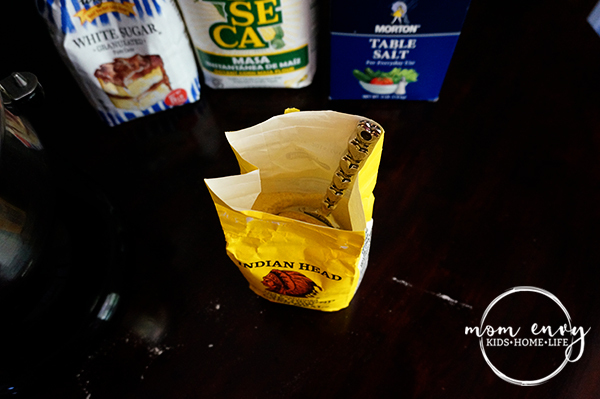 Use an ice cream scoop for easy removal from pan. Ahhhh! This looks delicious! I loveeee that corn cake stuff! I get that instead of beans when I go out to my favorite mexican spot! We love it, too! 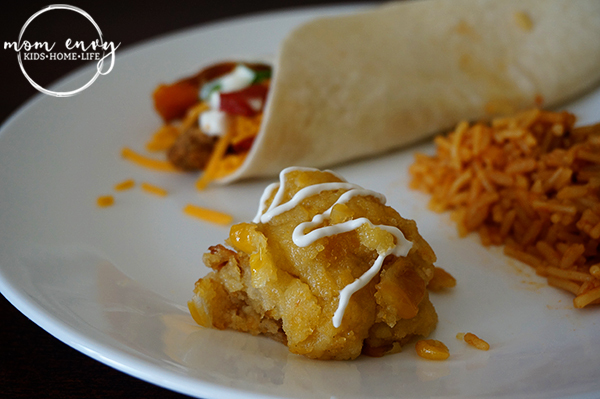 My husband was definitely glad I found a copycat recipe so we could make it at home! Thanks for stopping by! I'm so glad I found this on Bloggers Brag Pinterest Party! It sounds and looks so good! I can't wait to try it. Thanks so much Jody! I love finding new things on Bloggers Brag, too! Thanks for stopping by! This sounds so yummy! I can't wait to try it. I was wondering what you used for the drizzle on top of the corn cake on the plate? Just a little bit of sour cream (I placed it into a sandwich bag and cut the very tip off to create a "pastry" bag).